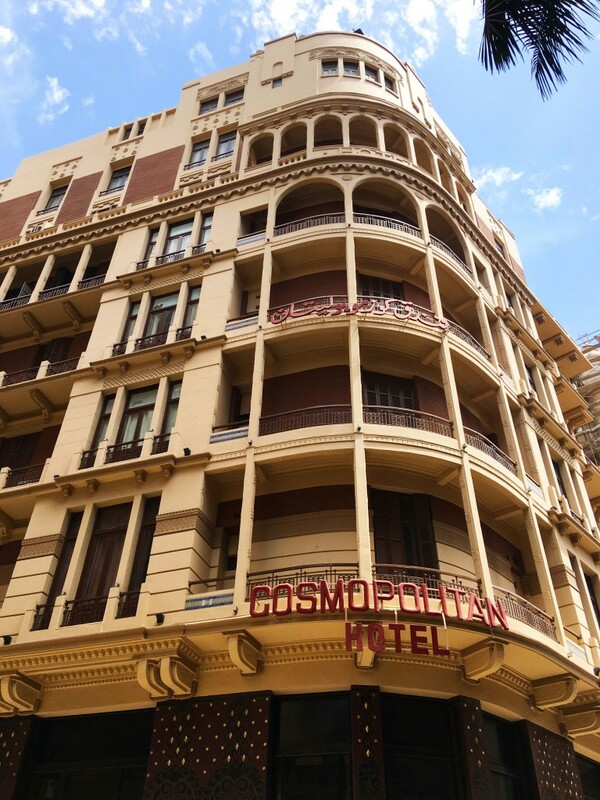 Tucked away off Kasr al-Nil Street in Downtown Cairo, the Cosmopolitan has always been an overlooked hotel. 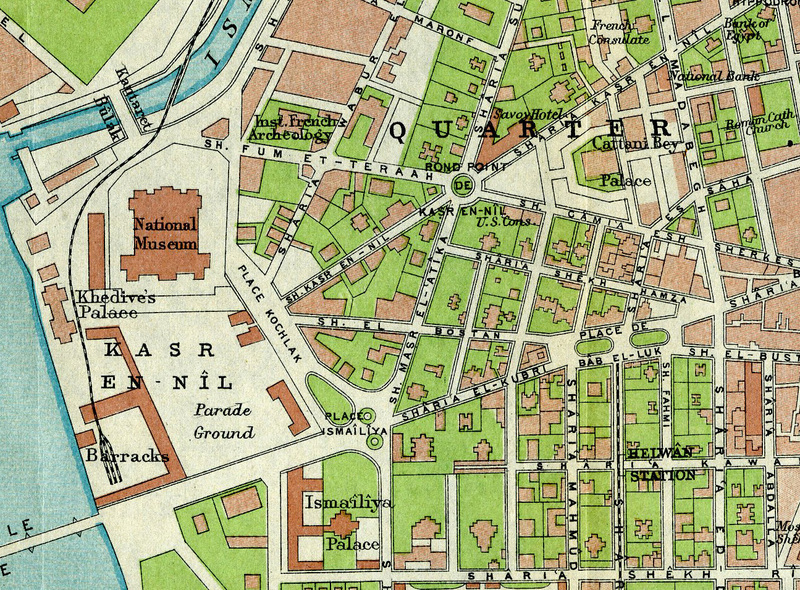 It has never featured large on the tourist map, so it has usually been blessedly free of large groups. 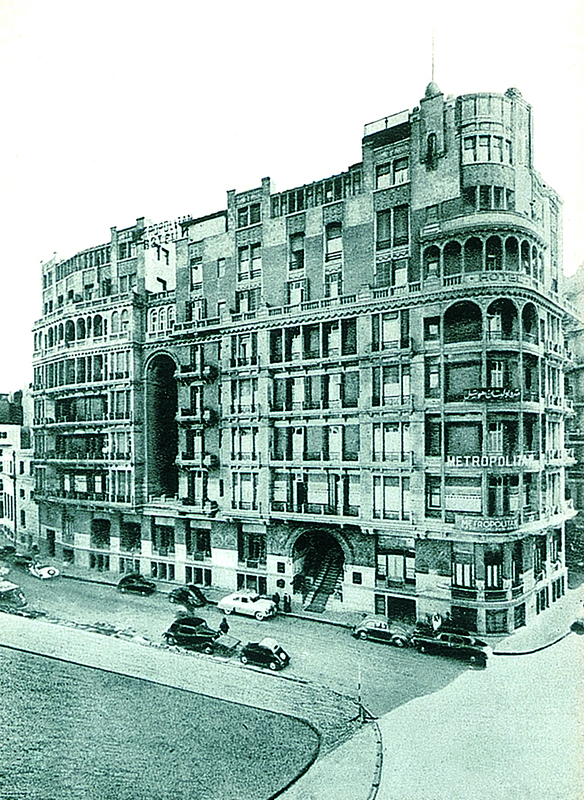 It boasts a fantastic central location but its amenities have always been limited (and well worn), which meant its rates have been competitive. 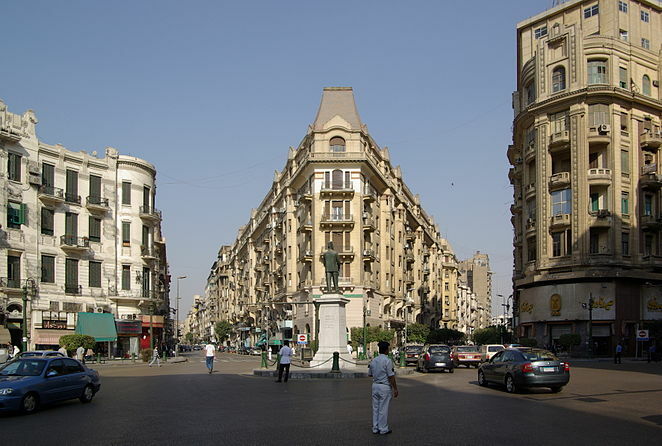 Instead it has attracted an intriguingly assorted clientele, the sorts of people who are too old for the backpacker joints of Talaat Harb but aren’t prepared to fork out for air-con luxuries of the likes of the Hilton and Sheraton. 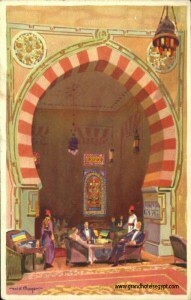 It’s a place where you would find businessmen from the fringes of Europe, journalists and visiting academics – as well as locals happy to take advantage of the cheap beer in the Kings Bar. 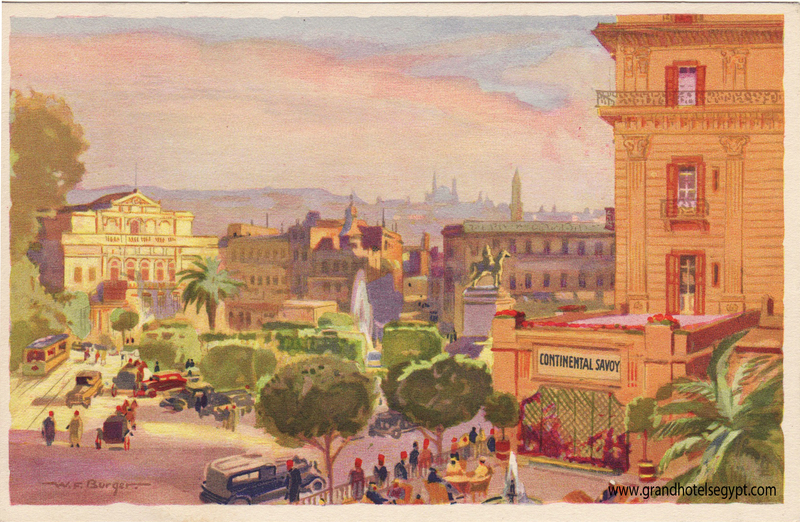 Or at least that used to be the case, before the Cosmopolitan closed for restoration last year as part of the larger-scale project to beautify and revitalise the whole Bourse area. 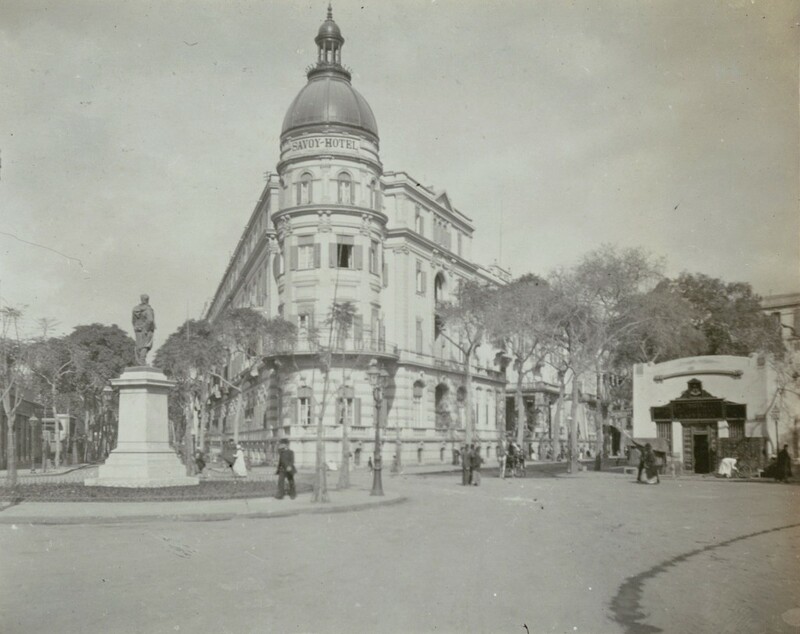 Recently the scaffolding that has been wrapped around its façade for many months came down. 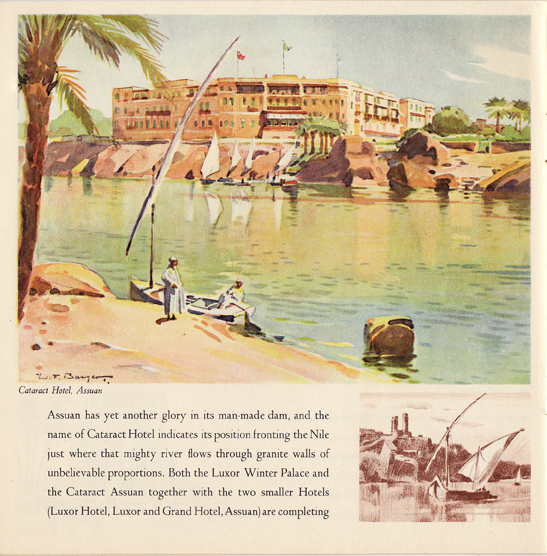 However, word is that work on the interior is far from complete as the hotel’s owners – EGOTH, the state body in charge of most of Egypt’s hotels – is looking for a tenant to complete the refurb and manage the hotel. I wonder when they do find that outfit if they will decide to retain the hotel’s name. 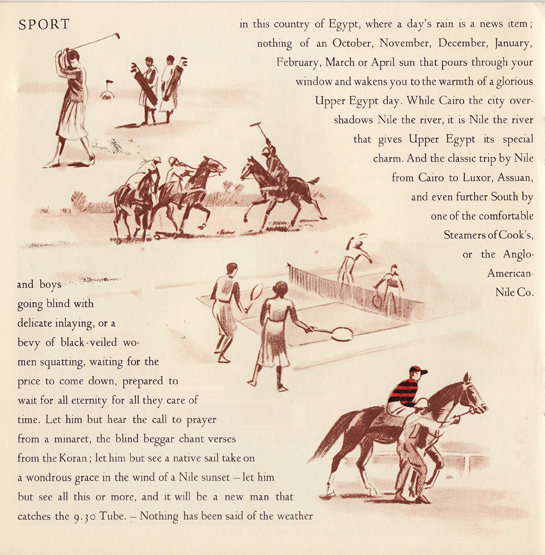 After all, it has changed twice before. 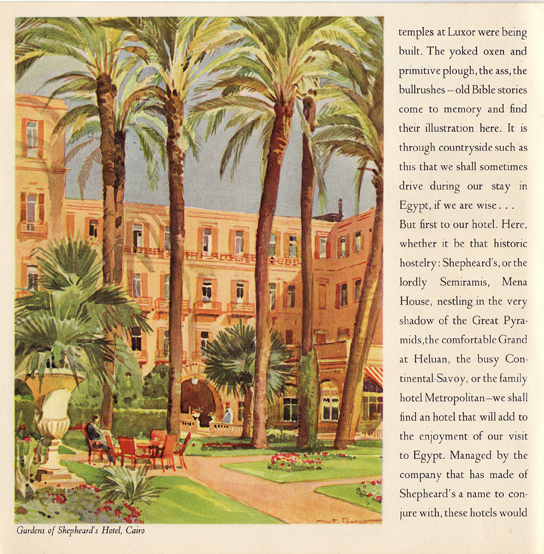 The Cosmpolitan began life as the Grosvenor Hotel, back in the early 1920s. 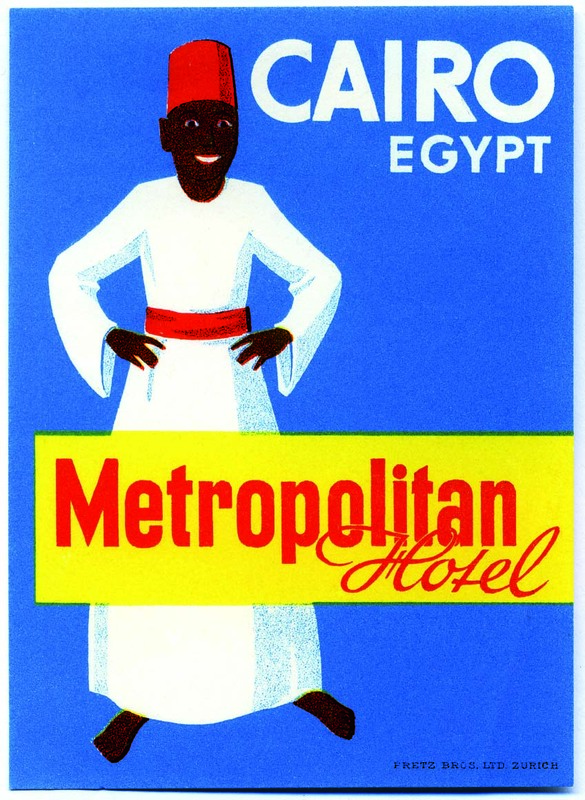 In 1929, the building’s lease was purchased by Egypt’s premier hotelier Charles Baehler, who did his own refurb and reopened the place in May 1929, renaming the hotel the Metropolitan. 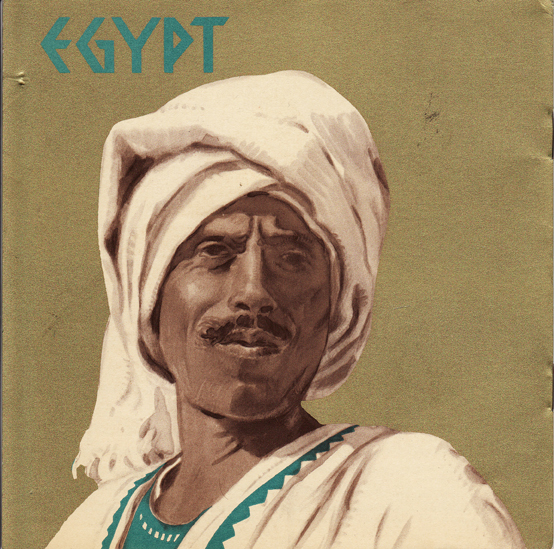 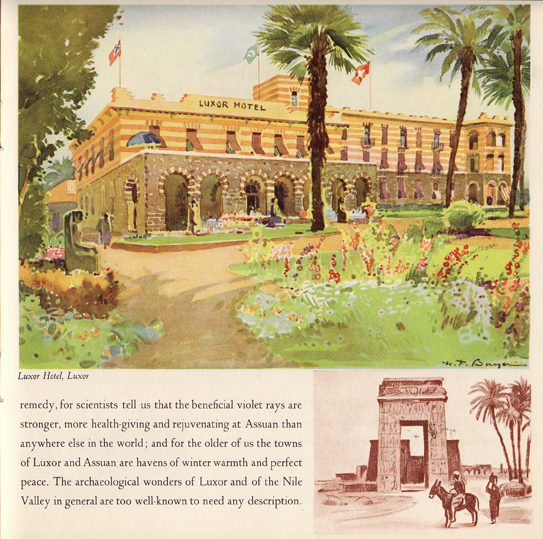 Baehler was the chairman of Egyptian Hotels Ltd, which already owned almost every grand hotel in Cairo but there were not as many big spenders around as there had been (and there would be even less when the Great Depression kicked in towards the end of 1929) and the company wanted a smaller hotel with cheaper rooms to cater for the new breed of traveller of more modest means. 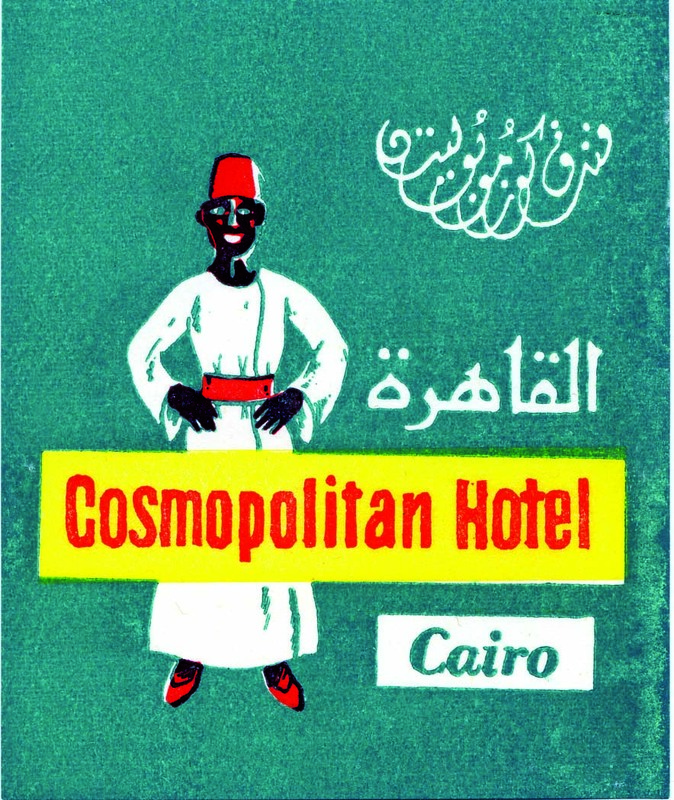 At some point – and the Cosmopolitan was rarely mentioned in travelogues or the press, so accounting for its precise history is difficult – the hotel underwent another change of name to its current one of the Cosmopolitan. 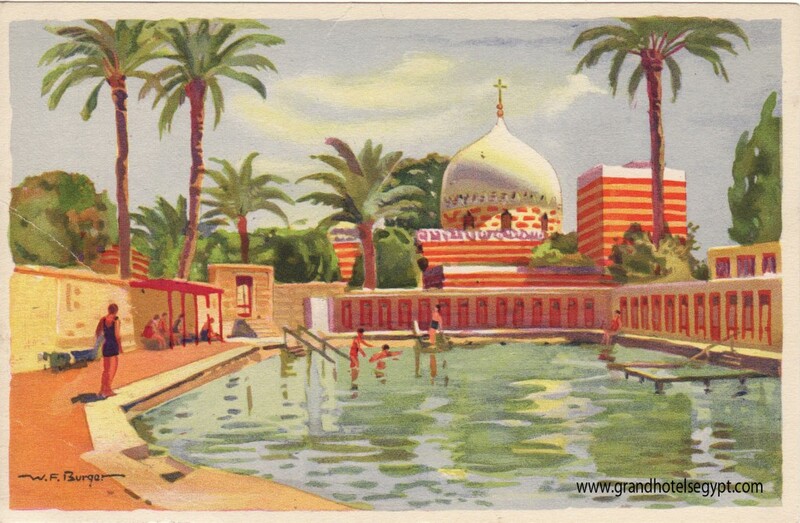 It is impressive that it has survived at all when so many other Cairo hotels haven’t. 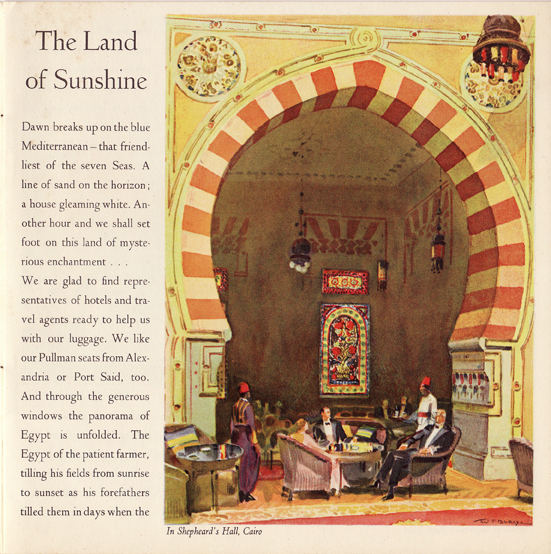 I’m intrigued to see who comes in to run it and whether they can continue to attract a suitably global and eclectic clientele to justify the hotel’s present name. 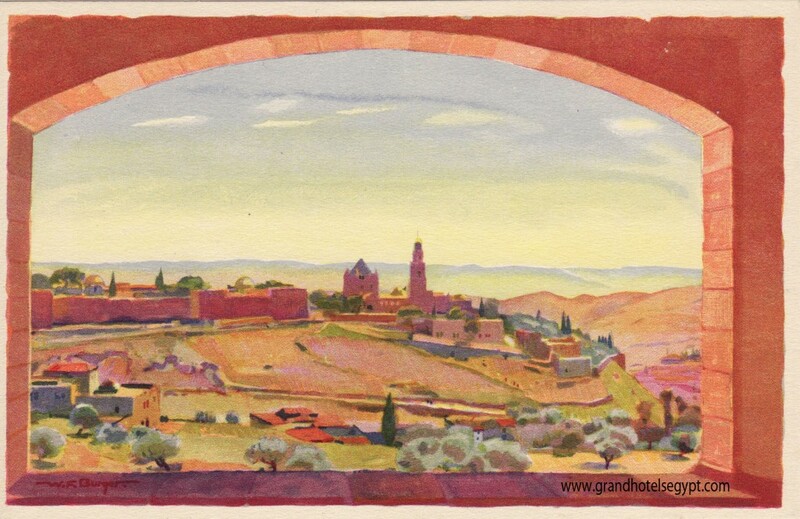 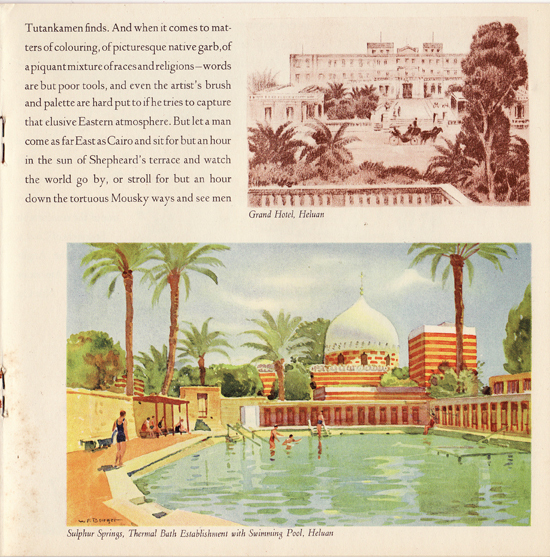 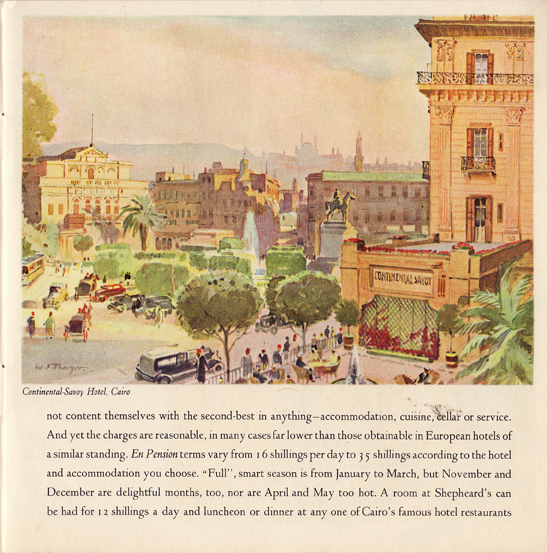 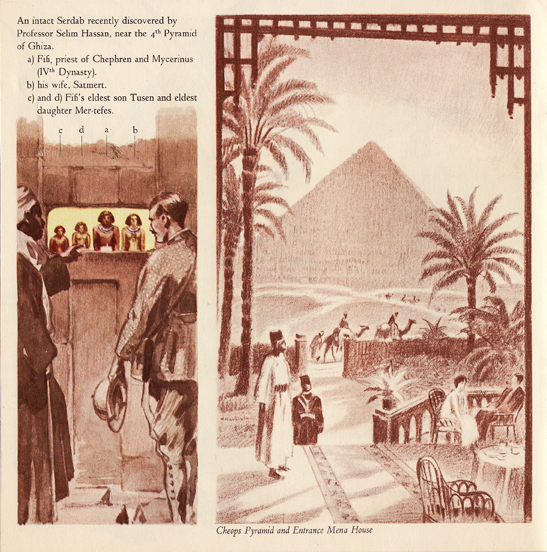 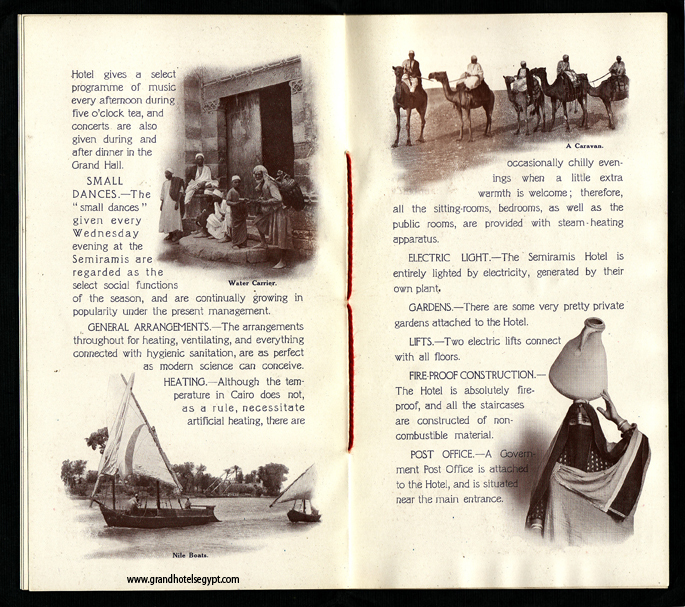 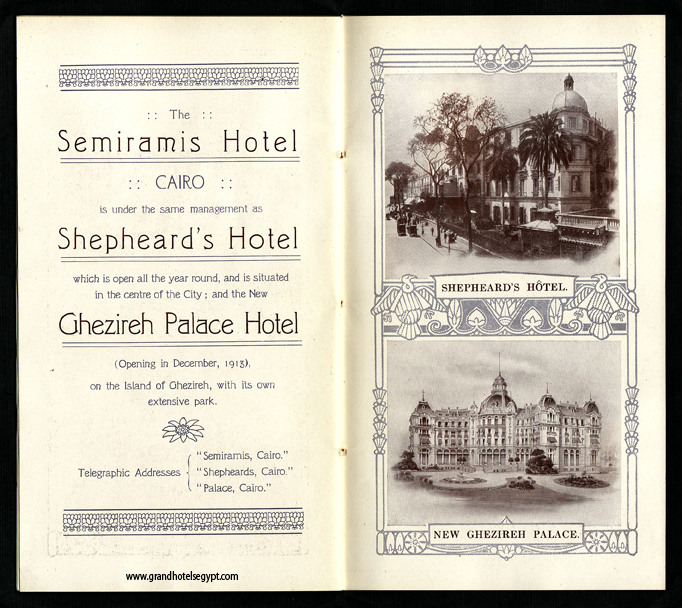 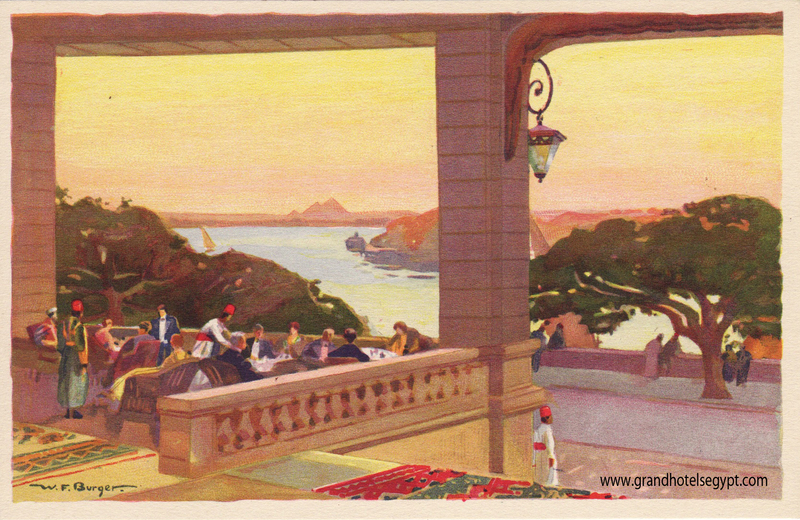 Last month I posted a complete early 20th-century promotional booklet for Shepheard’s hotel. 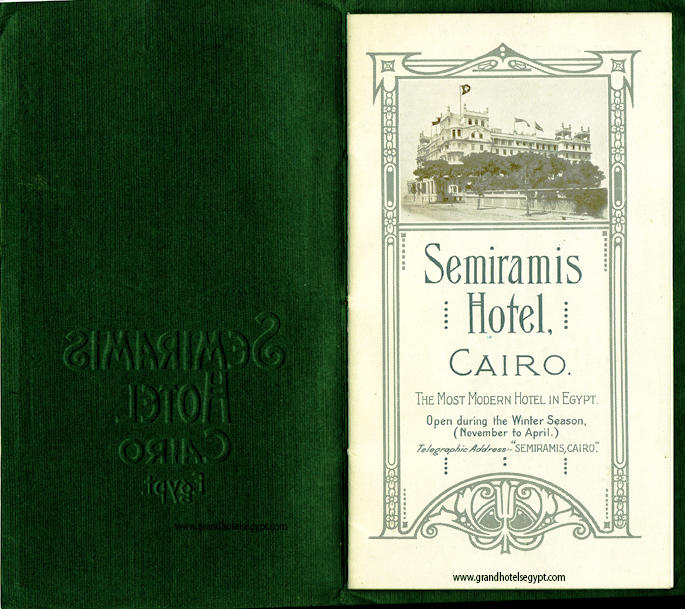 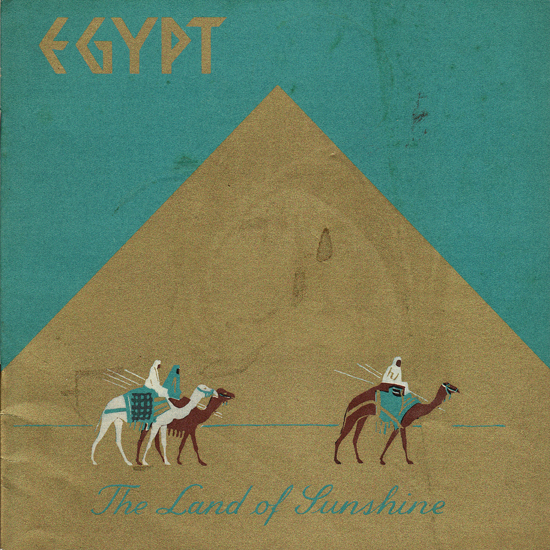 It was put out by Egyptian Hotels Ltd, who at this time owned several major Cairo properties, another of which was the Semiramis. 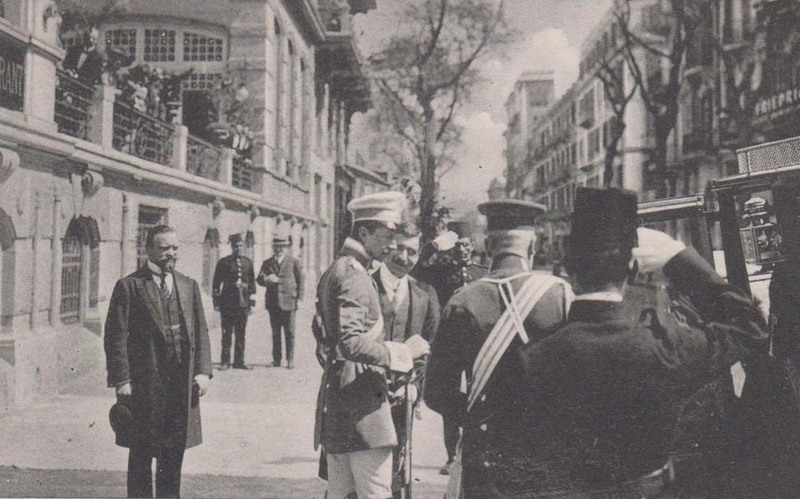 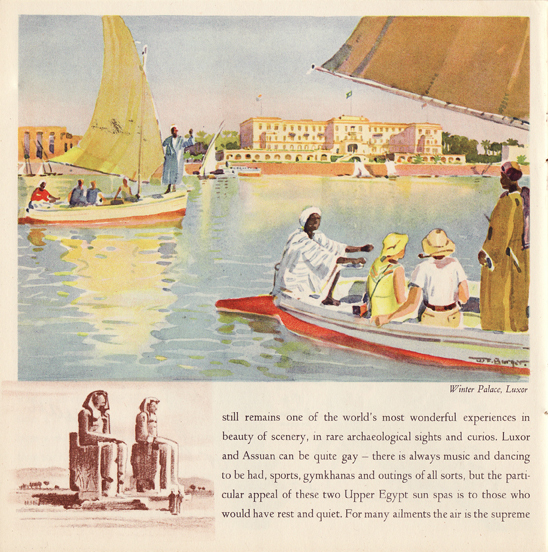 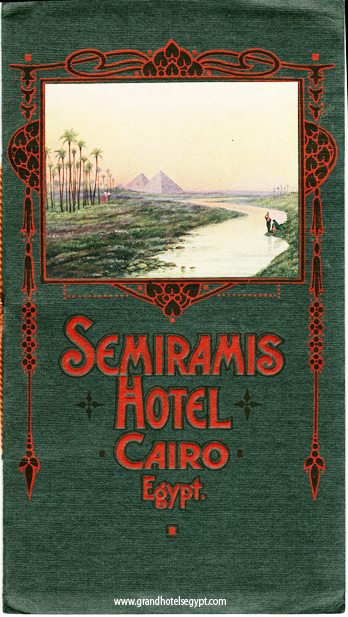 A riverside location is now almost a perquisite for any five-star Cairo hotel, but when it opened in February 1907, the Semiramis was the first hotel in the Egyptian capital to be built beside the Nile – previously all the hotels had been clustered around the Azbakiya or close by in Downtown. 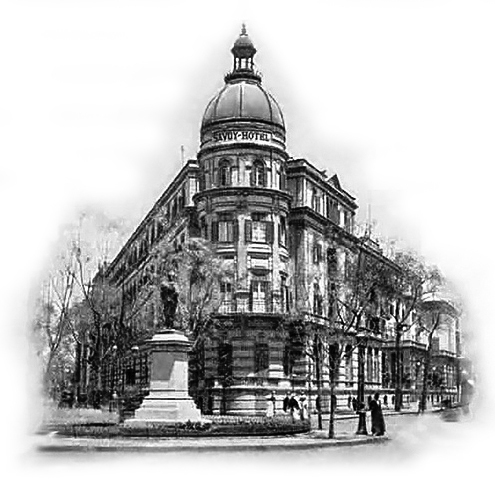 The insightful entrepreneurs behind the project were Franz Josef Bucher-Durrer and Josef Durrant, founders of a hotel chain with properties in their native Switzerland as well as Genoa, Milan and Rome. 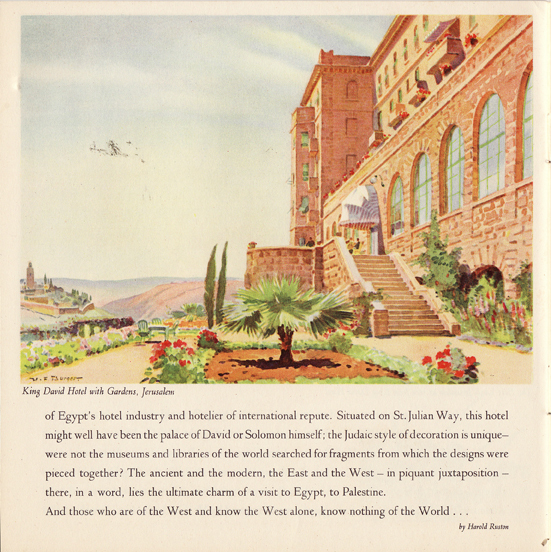 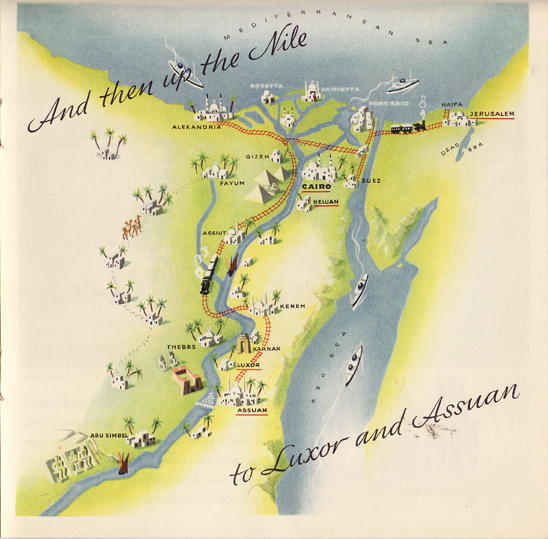 Unfortunately, Bucher-Durrer died before the new Cairo venture could be completed and just three years after its inauguration his heirs decided to sell the Semiramis to Charles Baehler of Egyptian Hotels Ltd. 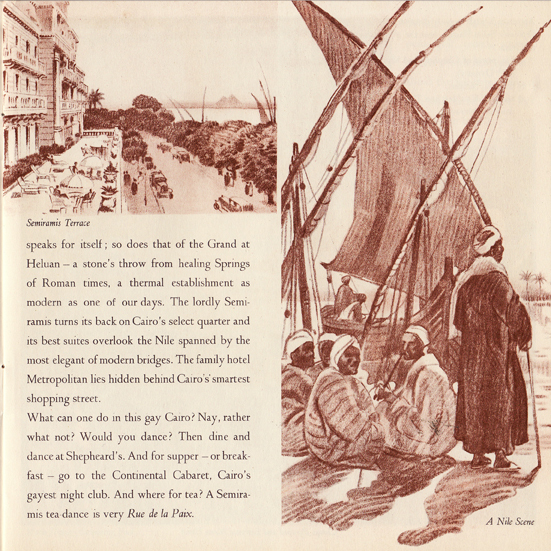 It was the most aristocratic of Cairo’s hotels, attracting the highest class of clientele. 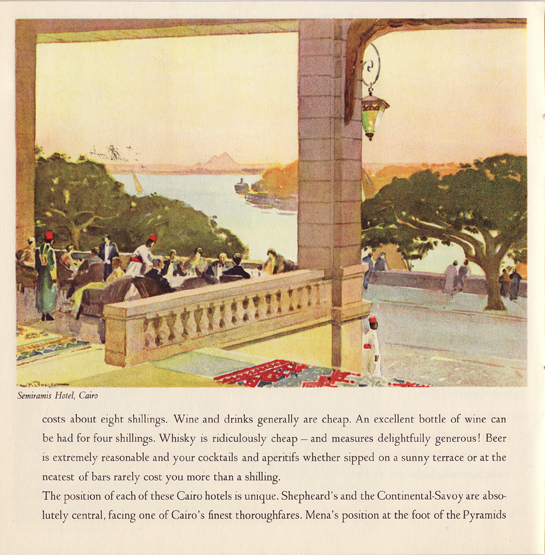 It had a handsome wide veranda that overlooked the river and, at roof level, accessed by electric lifts, a garden terrace planted with ﬂowers and shrubs, and with a café-restaurant and ‘tea-kiosks’. 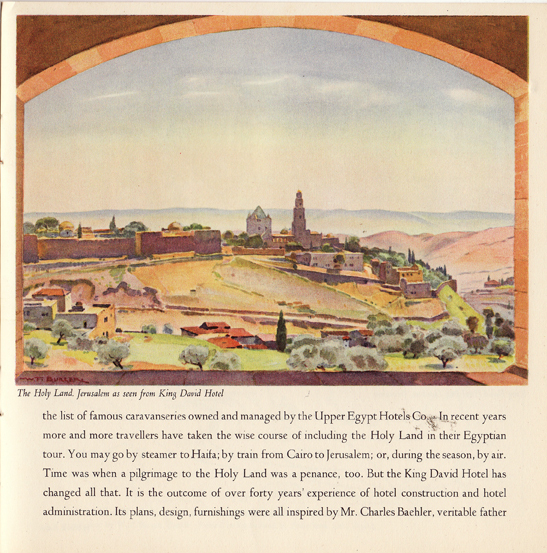 The roof had views across the city to the Citadel in one direction, and over the Nile to the Pyramids and desert in the other. 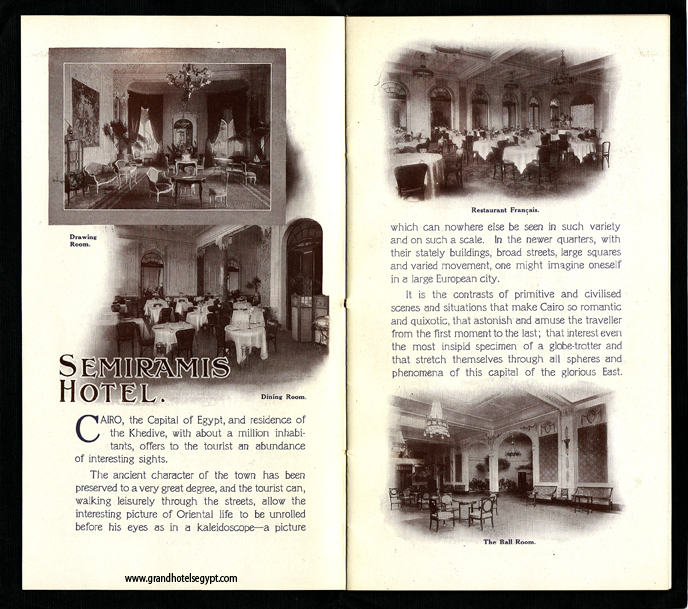 Even at only four stories, at the time of its opening the Semiramis was the highest hotel in Cairo. 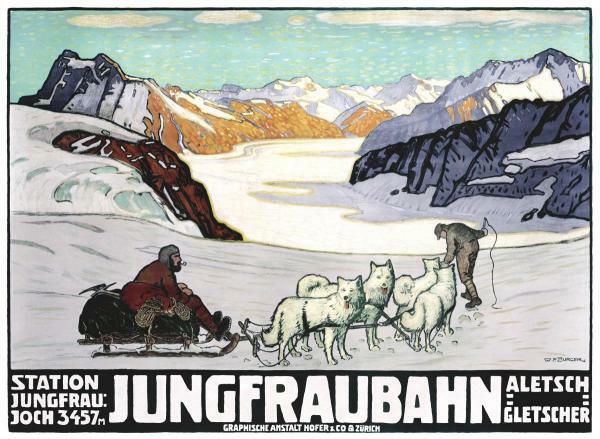 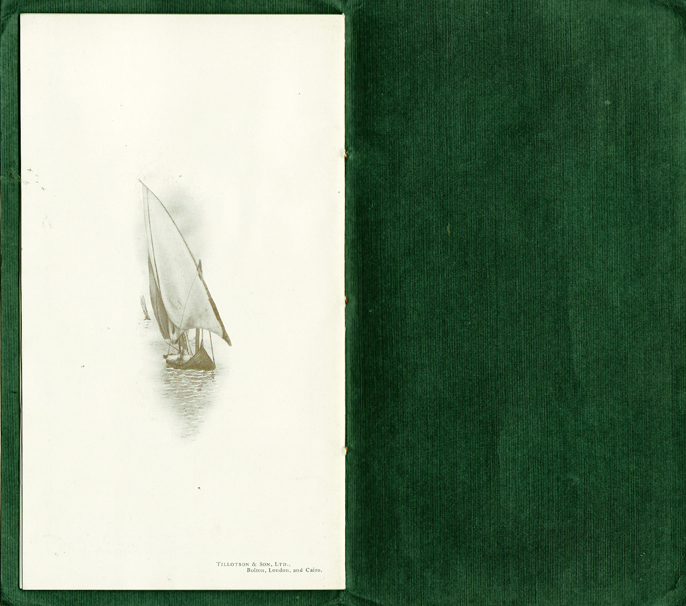 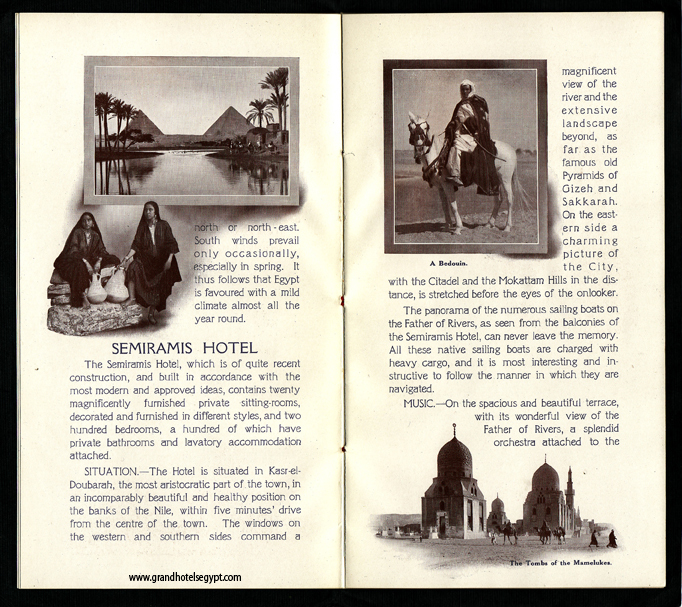 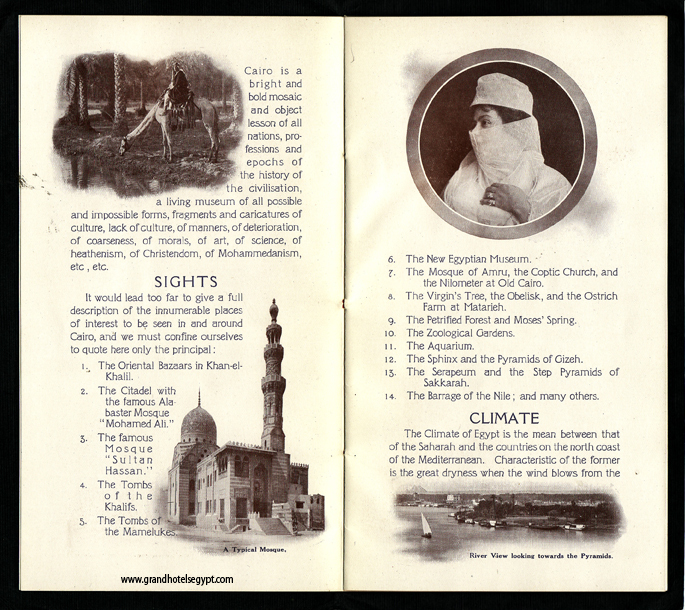 It would be soon after Baehler bought the hotel that the booklet below was published. 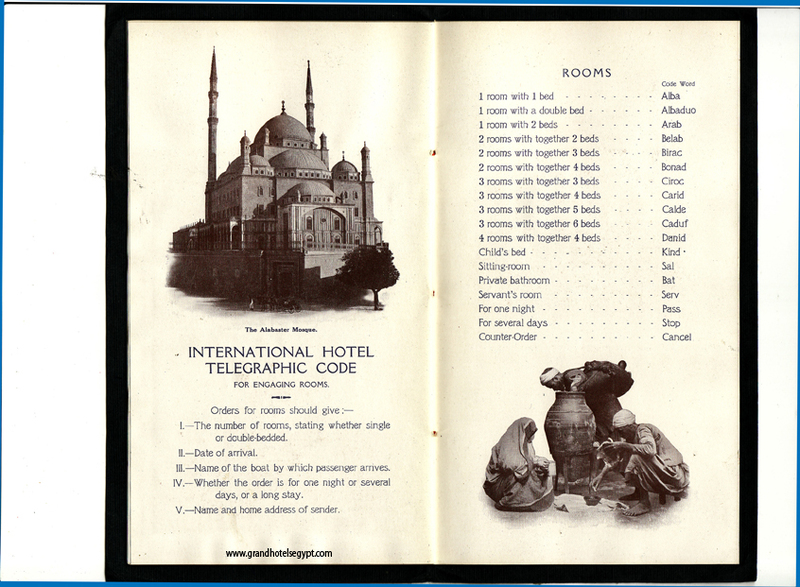 Note that the text boasts that of the 200 bedrooms, 100 have ensuite bathrooms and lavatories. 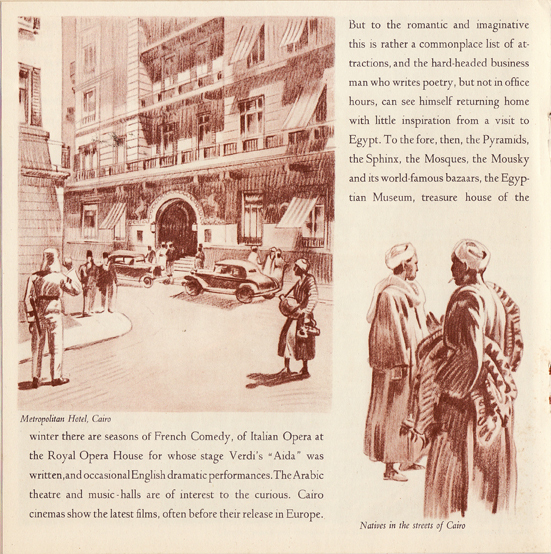 When London’s Savoy was under construction in the 1880s, its ﬁnancier D’Oyly Carte also requested one bathroom for every two bedrooms, leading his contractor to ask if Carte was expecting his guests to be amphibious. 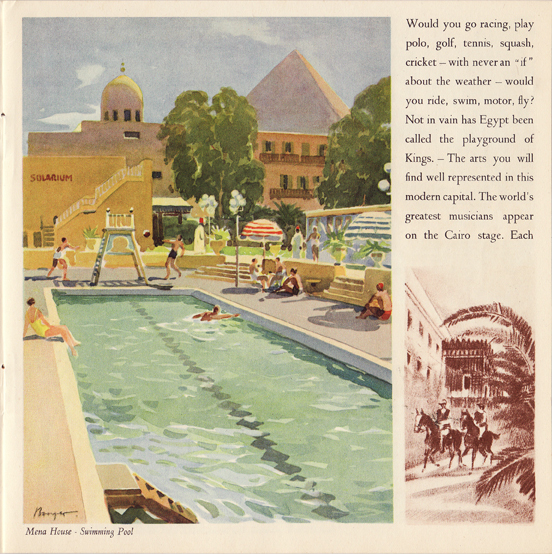 Note also in the lists of ‘principal’ sights, number 8 includes an ostrich farm at Matarieh (sadly missing from the attractions of modern Cairo). 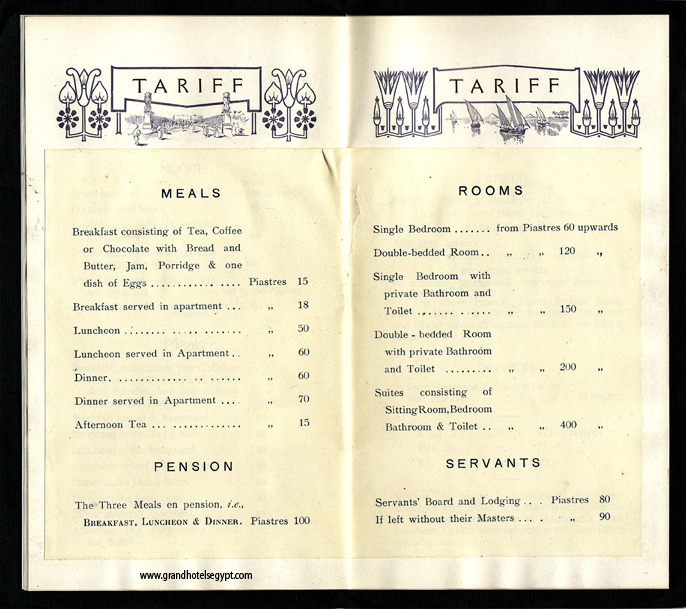 It is also notably more expensive to board servants without their Masters.